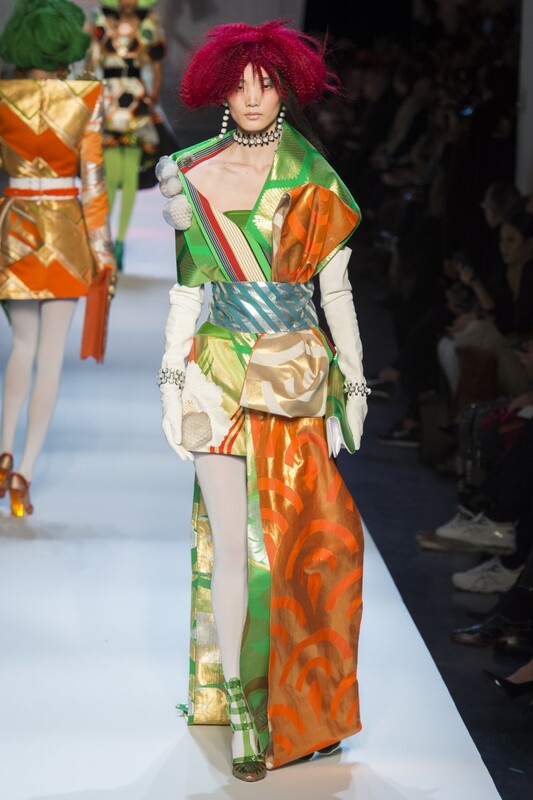 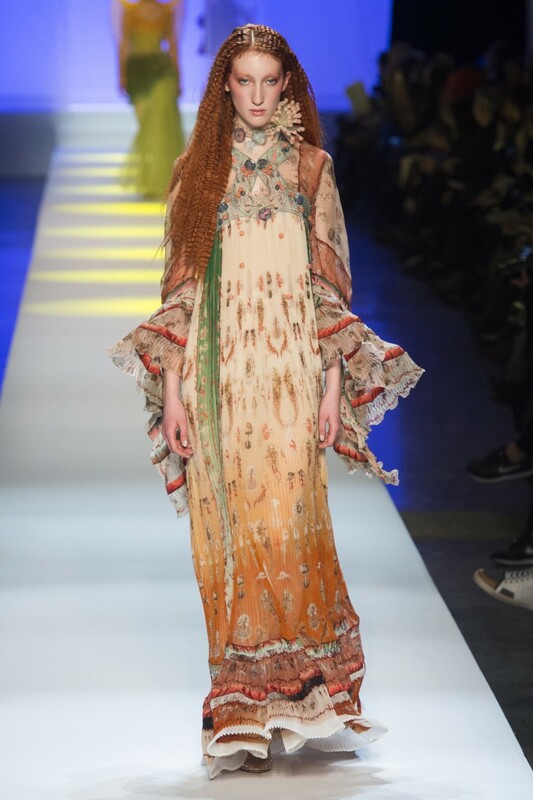 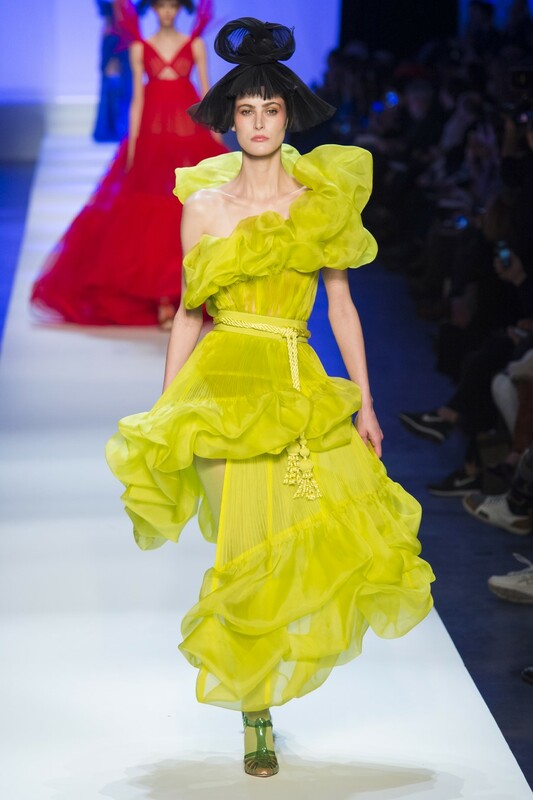 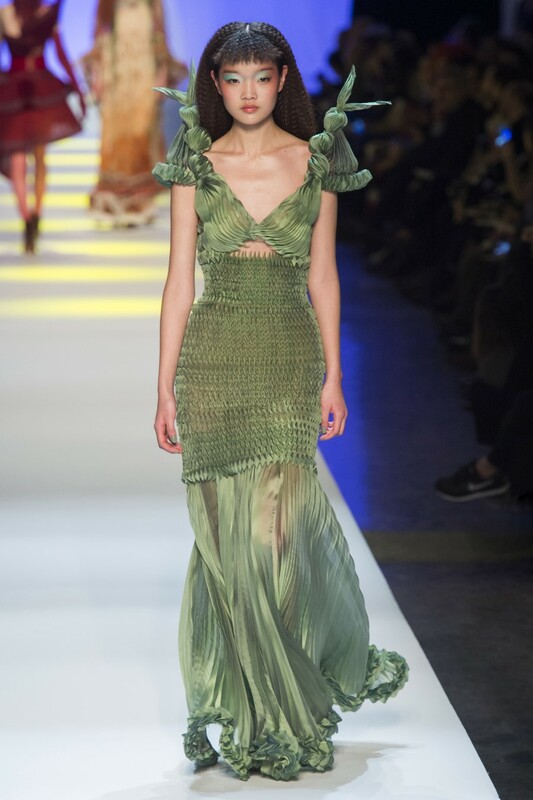 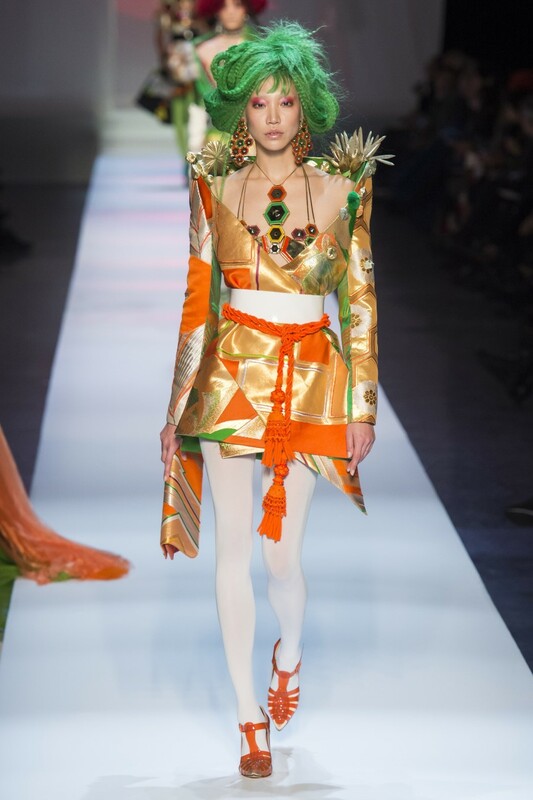 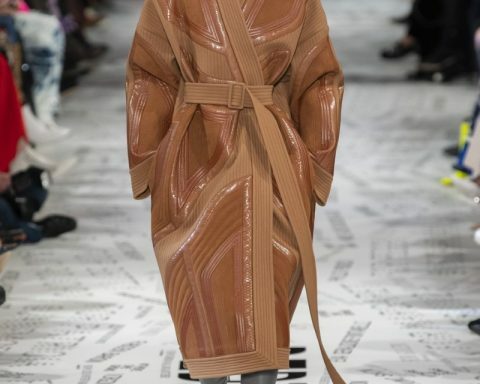 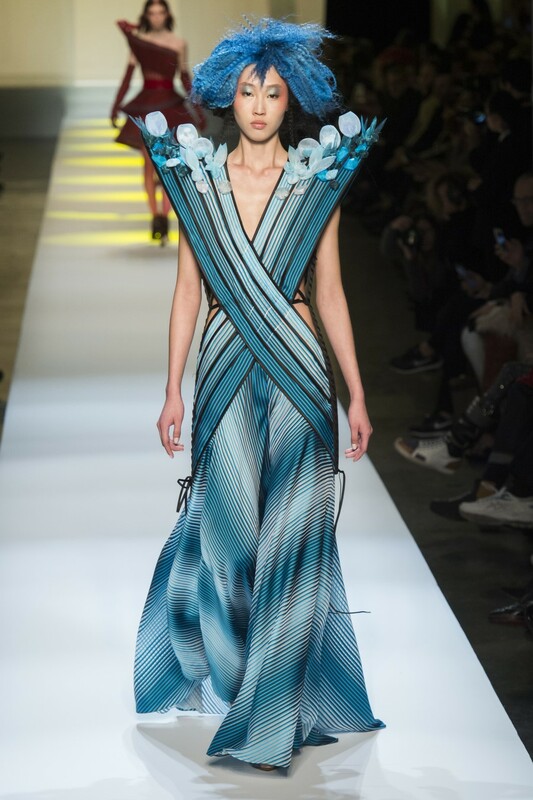 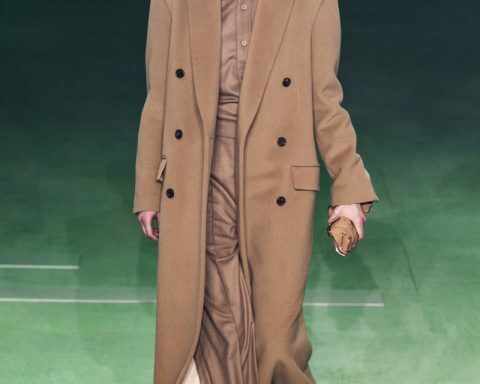 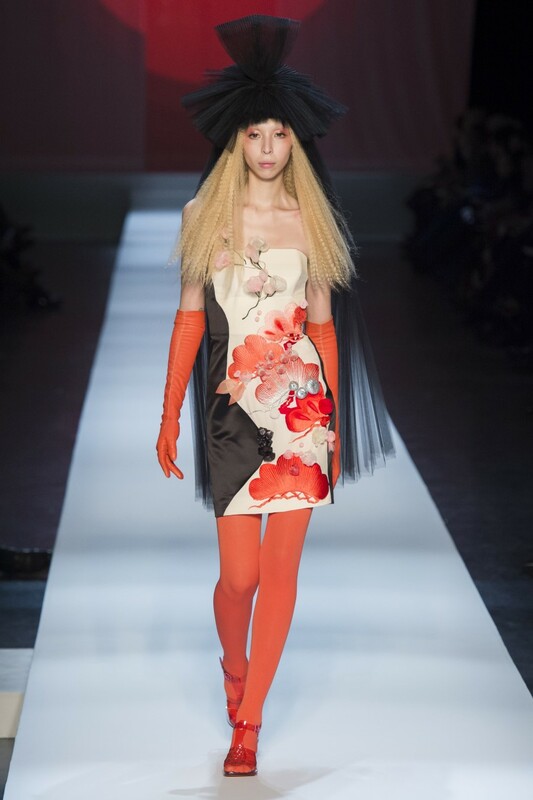 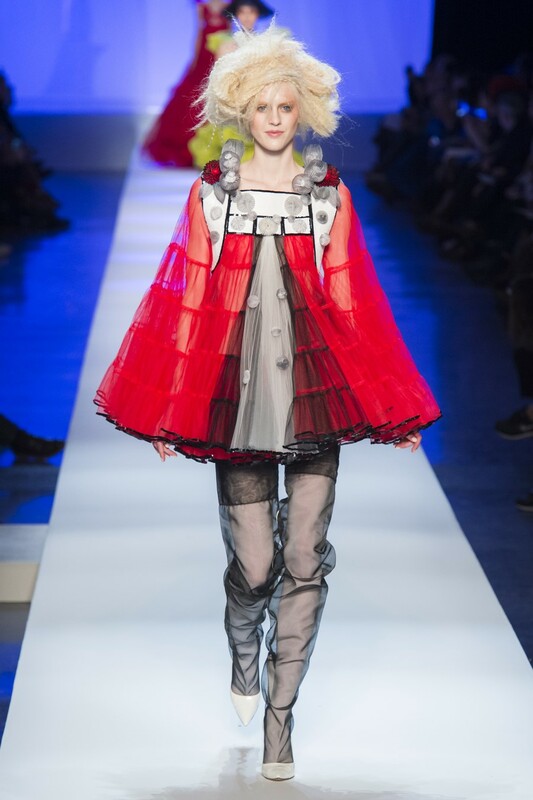 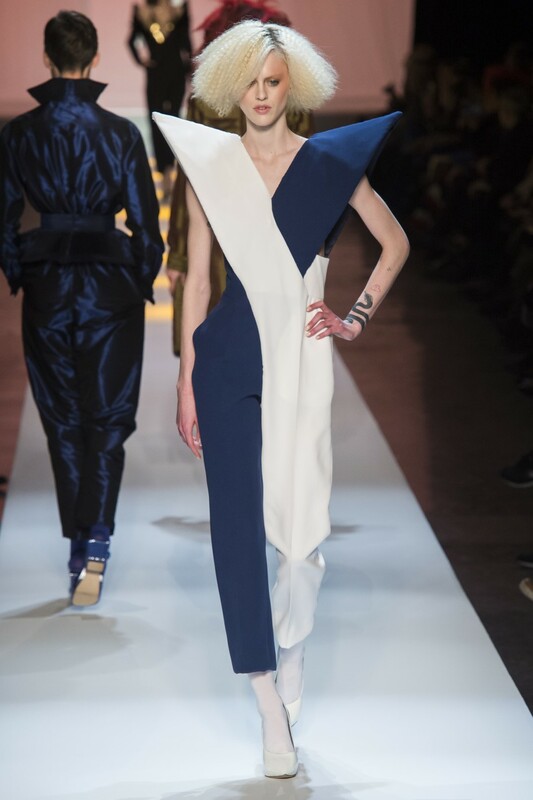 For Spring/Summer 2019, French designer Jean-Paul Gaultier took inspiration from the deep sea and Japan. 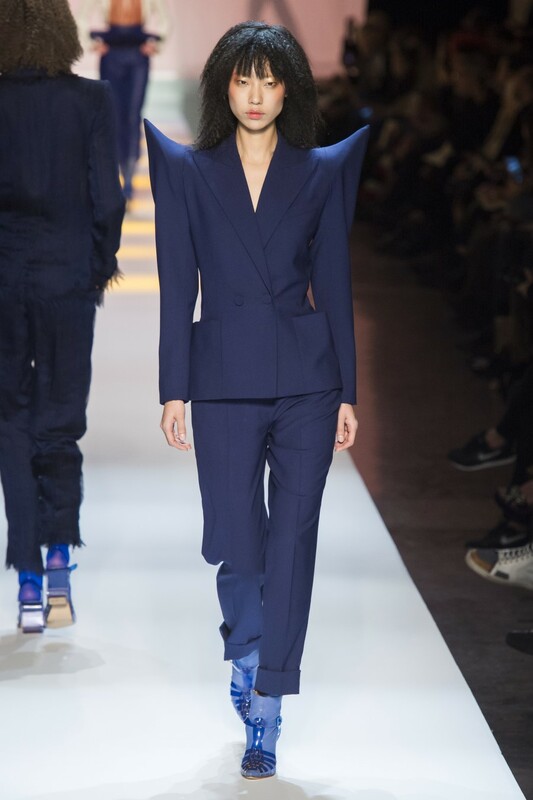 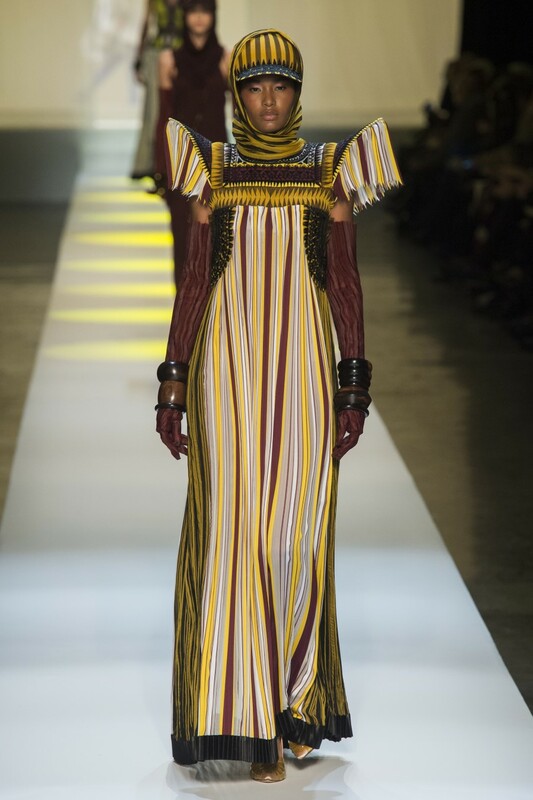 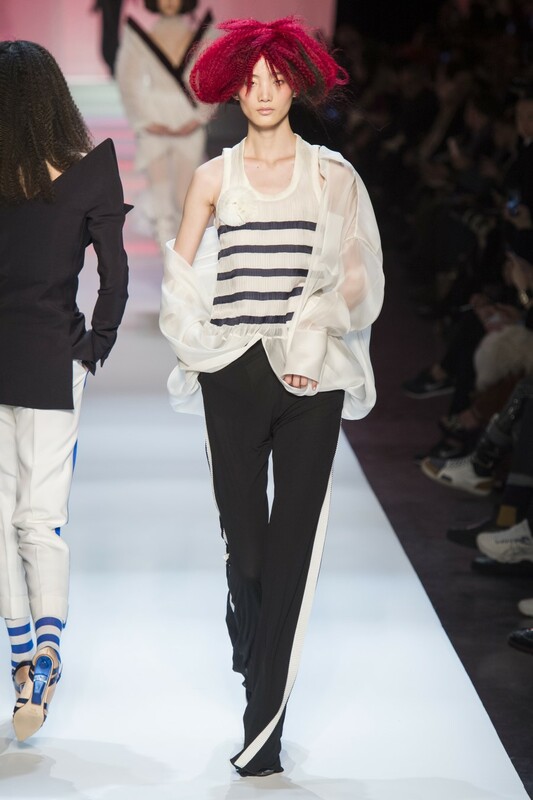 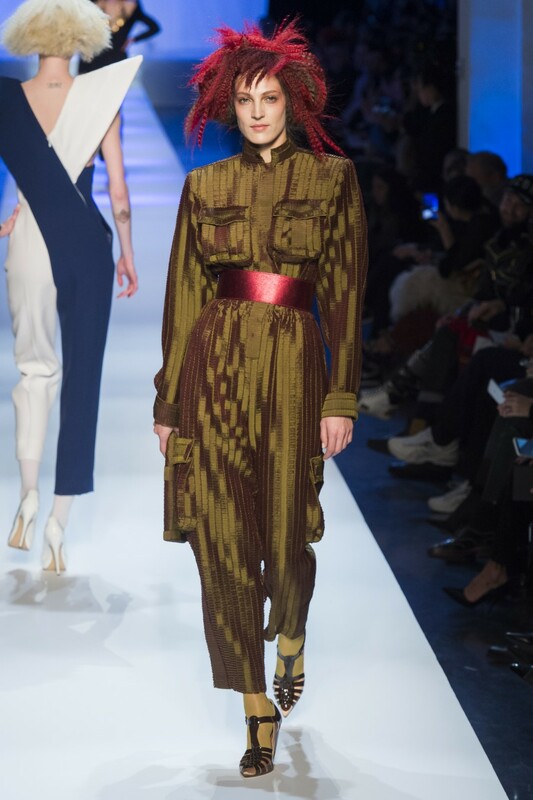 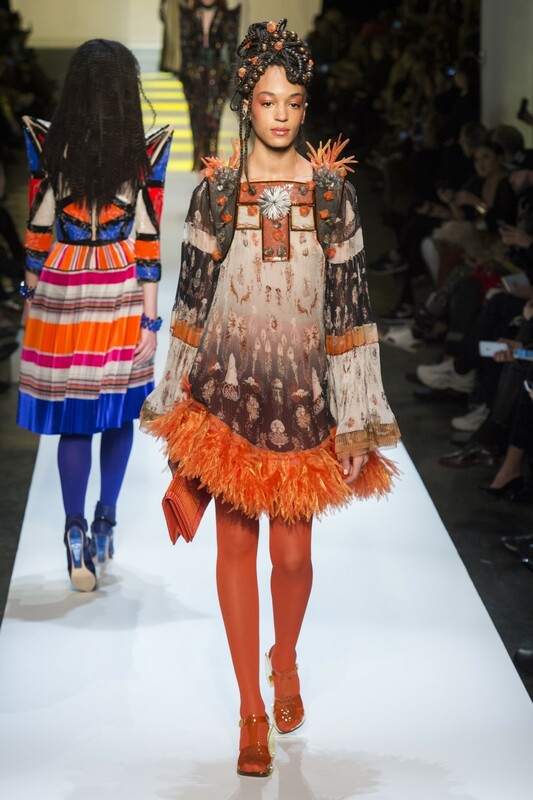 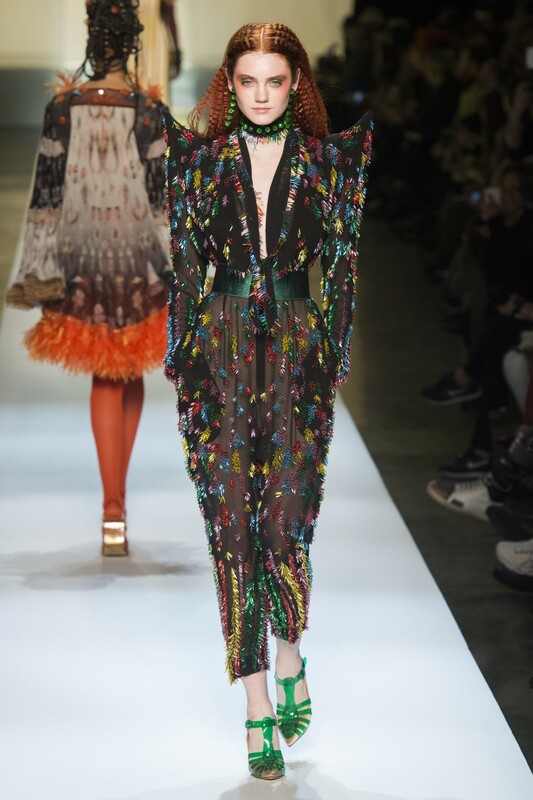 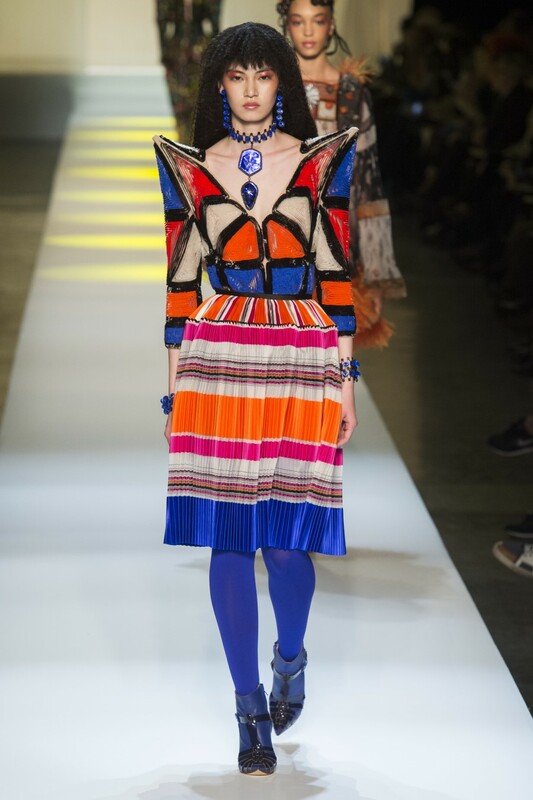 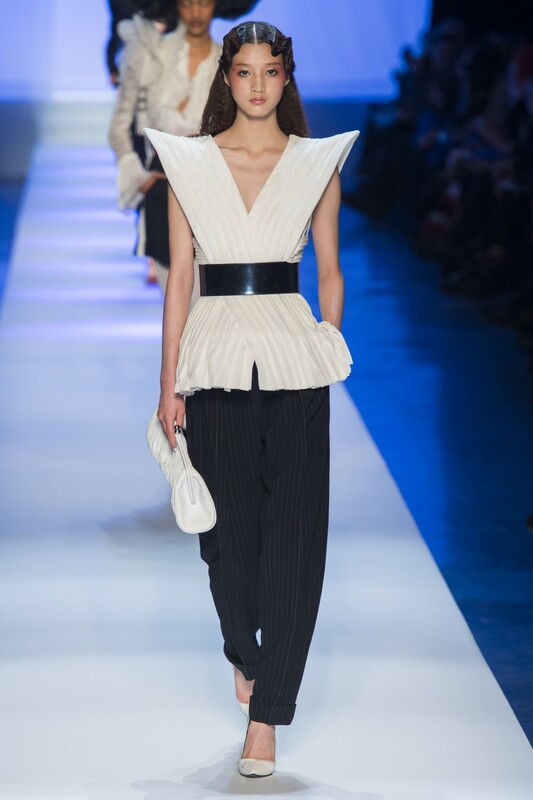 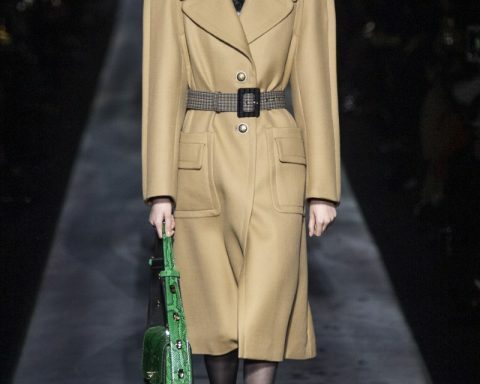 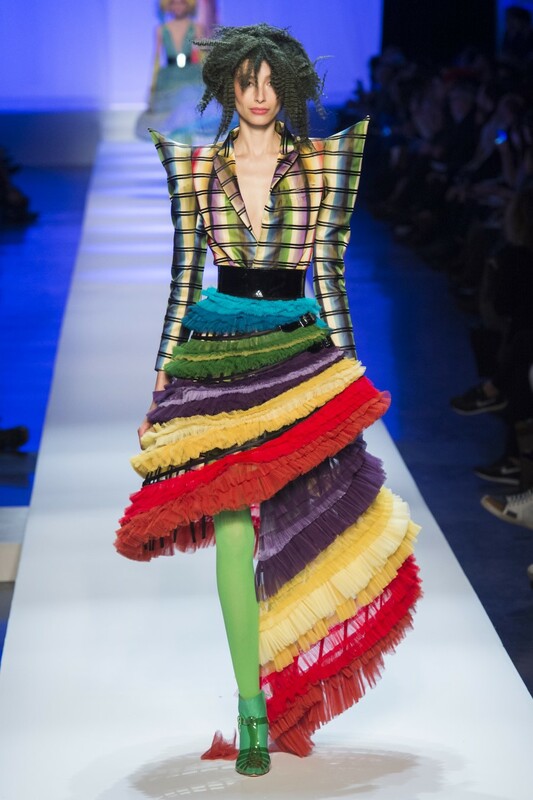 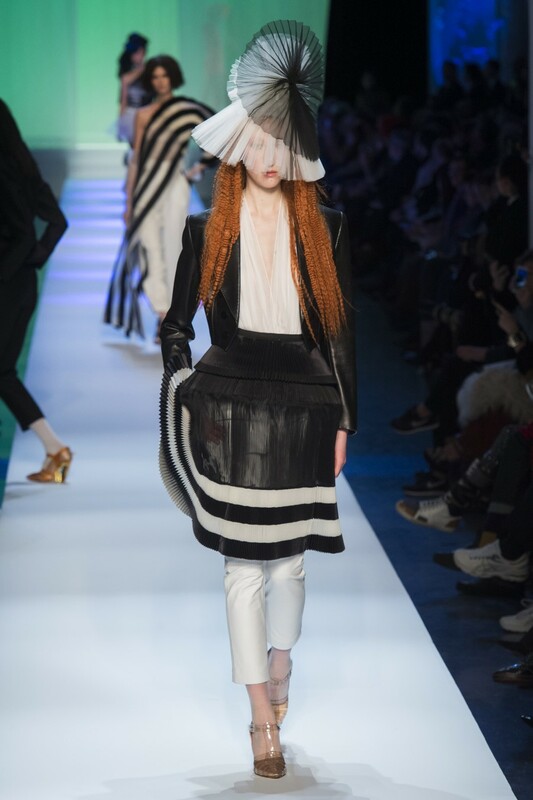 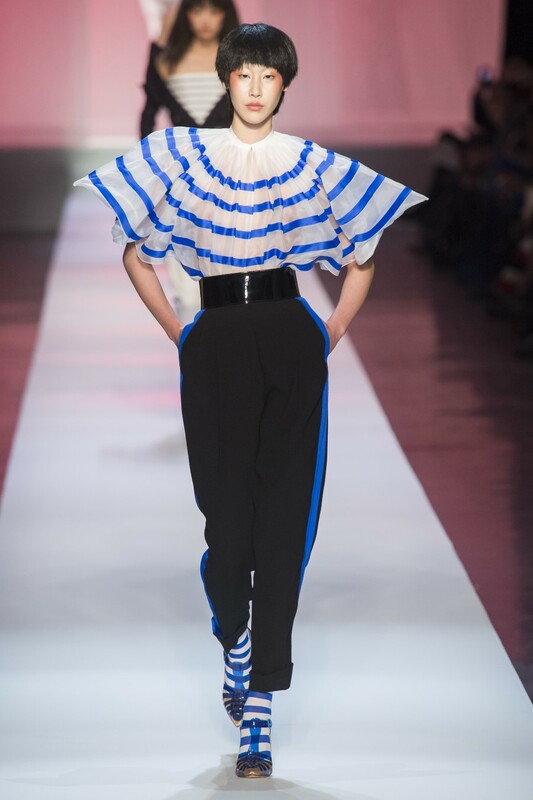 The collection stayed true to the couturier’s freewheeling spirit with iterations of the iconic Gaultier marinière which was offered then in variations ranging from classic suiting pinstripes, trompe l’oeil jeans, fringed cages, to Mexican blanket stripes. 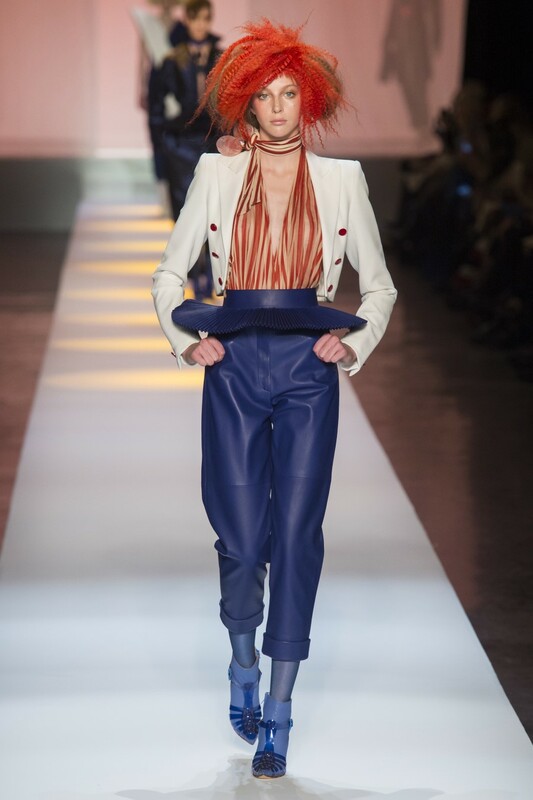 The show also featured a cameo by burlesque artist Dita Von Teese, who’s in the midst of a weeklong residency at Gaultier’s “Fashion Freak Show” musical revue at the Folies Bergère.